ISLAMABAD: Minister for Power Division Awais Ahmed Khan Leghari has assured power-sector investors that his division is holding negotiations with the Federal Board of Revenue (FBR) on tax exemptions and related matters with expectations that a positive outcome will emerge soon. The minister gave the assurance in a meeting with project sponsors on Friday. The huddle was in line with the commitment to facilitating the investors and resolving the challenges being faced by ongoing projects under the China-Pakistan Economic Corridor (CPEC) to ensure their timely completion. Chinese Deputy Head of Mission M Lijian Zhao, nominated by the Chinese embassy as the focal person for power projects, co-chaired the meeting along with the Power Division minister. People representing alternative energy projects – wind and solar power – including Hydrochina Dawood Power, Sachal Energy, Three Gorges, Western Energy and Crest Energy briefed the meeting about their projects. Responding to the investors on complaints of delay and extension in the Letter of Support and the Letter of Intent, Leghari, who is also the chairman board of directors of the Private Power and Infrastructure Board (PPIB), directed the PPIB to hold its next meeting on January 11. PPIB will thoroughly work out details of these requests and put before the board for its consideration and decision on merit. Investors told the meeting that Pakistan’s coal deposits in Thar had attracted handsome investment and Singh Engro Coal Mining Company was working hard to achieve the targeted mining results within the set time frame. They said 63% of work on mining and the mine-mouth plant had been completed and the 660-megawatt coal-fired power plant was expected to start commercial operations in June 2019, almost four months ahead of schedule. 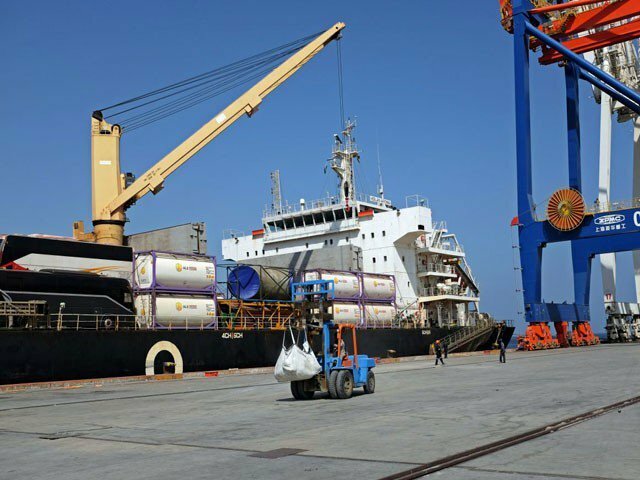 Other companies including Oracle Power, Shanghai Electric, Thalnova Power and Hubco Thar Power were also working at a swift pace and would begin commercial operations well in time. Representatives of 1,320MW Port Qasim coal power and 1,320MW Sahiwal coal power projects briefed the meeting about their operations and future development activities. Sponsors of Hubco coal power project, Gwadar coal power project, Suki Kinari hydroelectric power project, Karot hydroelectric power project and Kohala hydroelectric power project highlighted the progress achieved so far in their work. Representatives of the China State Grid-sponsored Matiari-Lahore transmission line project spoke about the pace of work. The Power Division minister directed the National Transmission and Despatch Company (NTDC) to hold dialogue with sponsors of Thar power projects in an effort to ensure timely provision of back-feed. He also asked the NTDC to provide all-out support for the investors so that they may be able to supply power as soon as they achieved the commercial operation date. The Power Division, on its part, will hold meetings with governments of Balochistan and Khyber-Pakhtunkhwa for making available land for the Gwadar coal power project and Suki Kinari hydroelectric power project respectively. The minister tasked the Central Power Purchasing Agency (CPPA) and the Power Division to approach the regulator for sorting out tariff-related issues being faced by some projects. “China is looking to further extend support to Pakistan in energy as Chinese investors have been keenly following the success in the power sector,” remarked the Chinese deputy head of mission while appreciating the move to meet all CPEC project investors and listen to their problems.